(5) Mori, A., (ed. 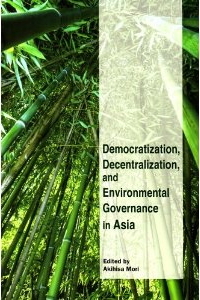 ), Democratization, Decentralization and Environmental Governance in Asia, Kyoto University Press, 2012 . 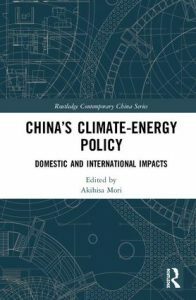 (1) Mori, A. Sociotechnical and political economy perspectives in the Chinese energy transition, Energy Research & Social Science 35: 29-36, 2018. (2) Mori, A. Temporal dynamics of infrasystem transition: The case of electricity system transition in Japan, Technological Forecasting and Social Change, DOI: 10.1016/j.techfore.2017.05.003. (3) Mori, A., How can climate change adaptation funding work effectively under the multilateral access modality? A case study of a UNEP-implemented Adaptation Fund project in Cambodia, Global Environmental Research 19 (2): 225-32, 2015. (4) Kim, S. and Mori, A., Revisiting the extended producer responsibility program for metal packaging in South Korea, Waste Management 39: 314-20, 2015. (5) Mori, A. Overcoming barriers to effective environmental aid: A comparison between Japan, Germany, Denmark, and the World Bank, Journal of Environment and Development 20 (1): 3-26, 2011. (6) Mori, A., Environmental soft loan program in Asian countries: Industrial pollution control or mul-use of foreign aid resources?, Journal of Cleaner Production 16 (5): 612-621, 2008. (4) Mori, A. Green growth and low carbon development in East Asia: Achievements and challenges,” in Yoshida Fumikazu and Mori A,. (eds. ), Green Growth and Low Carbon Development in East Asia, Routledge, 278-304, 2015. (5) Ogura, Y. and Mori, A., Changes in trade and economic structure during the past 25 years, Have green growth, low-carbon strategies made a significant impact in Northeast Asia?, in Yoshida Fumikazu and Mori A,. (eds. 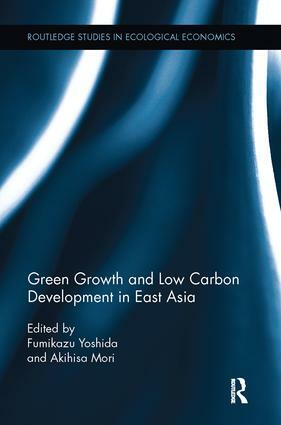 ), Green Growth and Low Carbon Development in East Asia, Routledge, 113-136, 2015. (6) Kim, S. and Mori, A., International recycling by South Korea in the context of green growth, in Yoshida Fumikazu and Mori A,. (eds. ), Green Growth and Low Carbon Development in East Asia, Routledge, 192-224, 2015. (7) Oanh, LTK. and Mori, A., Greening the government budget in Vietnam: Recent changes and future challenges, in Mori, A., Ekins, P., et al (eds. 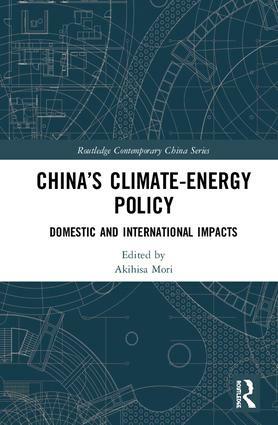 ), The Green Fiscal Mechanism and Reform for Low Carbon Development: East Asia and Europe, Routledge, 86-101, 2013年10月. (9) Environmental fiscal mechanism and reform in East Asia: An overview,” in Mori, A., Ekins, P., et al (eds. ), The Green Fiscal Mechanism and Reform for Low Carbon Development: East Asia and Europe, Routledge, 21-38, 2013. (10) Evolution of environmental governance in the East Asian Region: A historical perspective, in Mori, A. (ed. ), Environmental Governance for Sustainable development: An East Asian Perspective, Tokyo: United Nations University Press, 19-36, 2013. (11) Thailand’s snail progress toward good environmental governance, in Mori, A. (ed. ), Environmental Governance for Sustainable development: An East Asian Perspective, Tokyo: United Nations University Press, 61-84, 2013. (12) Impact of globalization on East Asia’s economic, energy and environmental relations, in Mori, A. (ed. ), Environmental Governance for Sustainable development: An East Asian Perspective, Tokyo: United Nations University Press, 211-233, 2013. (13) Regional environmental regime in East Asia: Collapse or arrested development?,” in Mori, A. (ed. ), Environmental Governance for Sustainable development: An East Asian Perspective, Tokyo: United Nations University Press, 271-291, 2013. (14) Effectiveness of multi-level environmental governance in the East Asian region,” in Mori, A. (ed. ), Environmental Governance for Sustainable development: An East Asian Perspective, Tokyo: United Nations University Press, 350-357, 2013. (15) Development and environmental policy under neo-corporatism: Slow progress toward pluralistic decision-making in Japan, in Mori, A. ed, Democratization, decentralization and Environmental Governance in Asia, Kyoto University Press, 26-51, 2012. (16) China-Japan CDM: Realizing Regional Environmental Benefits? in Kazuhiro Ueta (ed. ), CDM and Sustainable Development in China: Japanese Perspectives, Hong Kong: Hong Kong University Press and Kyoto University Press, 63-83, 2012. (17) Mori, A. and Hayashi T. Transboundary environmental pollution and cooperation between Japan and China: A historical review, in Kazuhiro Ueta (ed. ), CDM and Sustainable Development in China: Japanese Perspectives, Hong Kong: Hong Kong University Press and Kyoto University Press, 1-22, 2012. (18) Clean development mechanism policy and sustainable rural development in China, in Sawa, Takamitsu et al (eds. ), Achieving Sustainability: Policy Recommendations, Tokyo: United Nations Press, 148-161, 2011. (19) Mori, A. and Ueta K. Beyond green growth: Sustainable development in East Asia, in Rae Kwon Chung, Hyun-Hoon Lee and Euston Quah (eds.) Pursuing Green Growth in Asia and the Pacific. Singapore: Cengage Learning, 275-300, 2010. (20) Mori, A. et al. How much progress has been made in environmental and social safeguards, and Environmental ODA, in Japan Environmental Council (ed. ), The State of the Environment in Asia 2006/2007. Tokyo: United Nations University Press, 3-23, 2010.